The Schomac Group, Inc. was formed in 1973 in response to a number of investors who sought the counsel and assistance of its founders, W. Michael Schoff and J. David Mackstaller. Today, Schomac is the hub of a group of companies that have evolved to perform specialized real estate and investment functions. In 1974, Schomac opened its first self-storage facilities in Tucson, Arizona. It was quickly discovered that self-storage was a unique business. Therefore, National Self Storage Development, Inc. and National Self Storage Management, Inc. were formed to further develop this business for Schomac and its investors. Originally, self-storage was considered by many to be an industrial or warehouse related use. However, NSS quickly distinguished itself as one of the first companies to introduce the concept that self-storage is primarily a retail use. 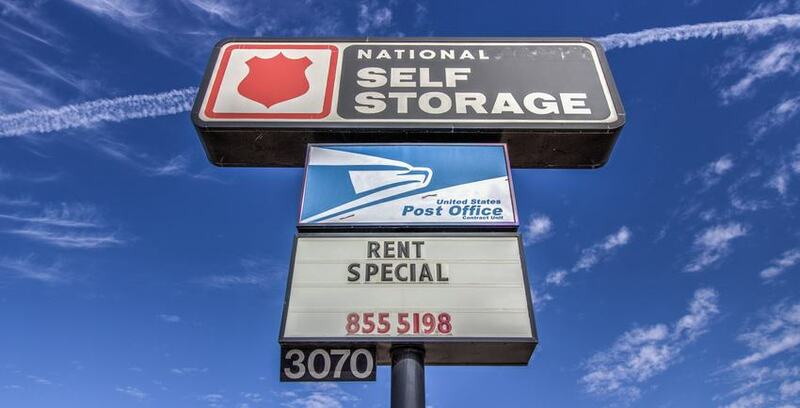 NSS began merchandising their self-storage concept as a product. Their "stores" offered customers many new and innovative features and their on-site, professionally trained "NSS Storage Consultants" educated storage customers on the many benefits that these features provided. NSS's innovative management techniques have helped shape the direction of the self-storage industry and, in fact, have now become industry standards. Innovative concepts pioneered by NSS include high-tech security devices and construction techniques such as precast tilt up concrete walls with movable metal demising partitions, raised slabs with recessed door seals and integrated roof systems. Together with award-winning landscape treatments, the NSS properties provided curb appeal that was very inviting and conducive to consumers. NSS maintained a "hands on" approach to the actual design and architecture of their self-storage stores and the resident apartment in an effort to soften the outward appearance to the surrounding neighborhood and provide a comfortable home for their on-site managers. In response to the demise of the Savings and Loan industry, in the early 1990s, NSS Funding Corp. and NSS Mortgage Securities Corp. were formed to facilitate the refinancing of 53 self-storage properties and business parks operated by NSS at that time. The refinancing was the first of its kind in the self-storage industry and was accomplished through the issuance of $63 million of Commercial Mortgage Pass-Through Bonds in a private placement to institutional investors. The bonds were placed by Oppenheimer & Co.,Inc. A significant portion of the NSS portfolio was refinanced again in 1996 through a new bond issuance to capitalize on lower interest rates. In July of 2005 NSS sold a significant portion of its facilities (70) to the REIT U-Store-It in a large package deal worth $218 million. 70% of the compensation that Robert Schoff received was in the form of U-Store-It OP units. A condition of the sale was an anti-competition agreement that specifies that Mr. Schoff cannot own or develop self storage facilities within a 5 mile radius of the former National Self Storage portfolio. NSS recently developed a prototype RV storage facility, National RV Central. The project will service the RV storage industry, which NSS feels is at the genesis state that the self-storage industry was in the early 1970s. NSS is also actively involved in the development of an on-line self storage reservation and payment system through a software development company they have sponsored known as Online Self Storage, Inc. The majority shareholder and primary investor of both these ventures is The Schomac Group, Inc.
1) Strong locations and high quality facilities. All of the properties are well constructed and meticulously maintained. The portfolio enjoys excellent geographic diversity with locations in 6 states. The "stores" are located in desirable, retail type locations with high traffic counts. 2) Attractive economies of scale. The company has numerous stores in efficient "economic units" which allows the company to realize operating and marketing efficiencies and increased brand awareness. NSS has developed a unique trademark and customer loyalty. In addition, through sharing common expenses such as yellow page advertising and internet web sites, NSS can effectively reduce operating costs and inventories. Insurance savings are also possible. All of the NSS stores have professionally trained staff and receive ongoing training though NSS's decentralized management. Each year a training workshop is held to keep their managers on "the cutting edge. "Additionally, state of the art computer and security systems are standard at NSS. National Self Storage is a proud member of StorageFront.